As you may know already, I had been lusting after the Too Faced Sweet Peach Collection for quite some time. I didn't give in as quickly as I wanted to, as I convinced myself I do not need any more palettes in my life right now! Well, that didn't last that long and I welcomed with big open arms the Too Faced Sweet Peach Palette. As soon as I got that and realised how amazing and perfect it was, I just knew I needed to get my hands on some more peach perfection, welcome Too Faced Sweet Peach Glow Kit! Too Faced Sweet Peach Glow Palette Unedited. I picked this up knowing it would be the perfect palette for Spring/Summer. 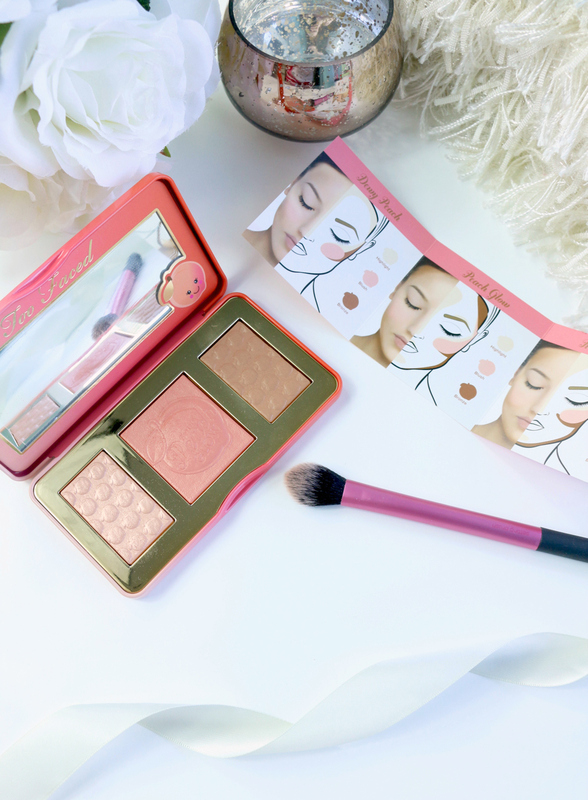 This cute little peach palette consists of a bronzer, blush and highlighter - all with the most adorable peach design. One of the things I just fell in love with straight away from the Sweet Peach collection, was of course the added sweet peach scent. I know this is completely ridiculous, but it's things like this that just make this collection ahead of some of the rest. I love opening up my Sweet Peach goodies to get a whiff of the juicy peach scent - it's so perfect for Summer! All three powders are super soft and luxurious making them a joy to use, they all have a glowy shimmer to them to give your skin that warm golden highlight we all crave in the Summer time. Lets start with the bronzer shade, the bronzer is a warm light brown shade, offering a light bronze to your face. I love that it's not too over powering as I'm on the paler side. 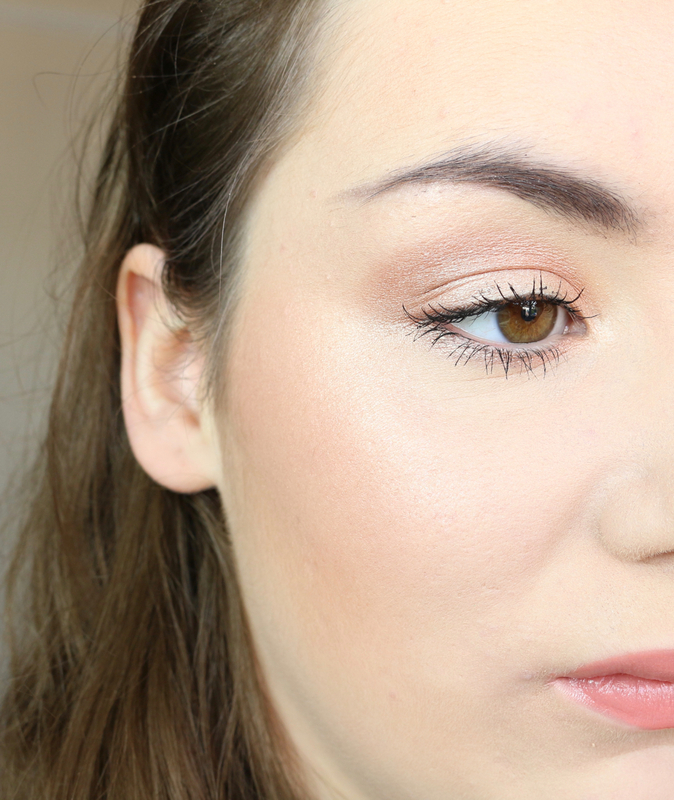 I feel like this is a great everyday bronzer, perfect for a natural Summer day look. The blusher shade is just perfect for Spring/Summer. This medium peach coral blush gives a soft shimmering finish that is very buildable. You can use this to achieve a pretty coral peach sheen or build this up for a strong coral peach finish. The powder itself is lovely and soft and easy to apply and blends very well. I love that this blusher has a golden shimmer, it really helps add warmth and glow to your look. I can see this being my go to Summer blush already! Now on to my favourite powder in this palette, the highlight. The highlight is a beautiful illuminating golden peach. This just screams Summer! The warm champagne peach blends so nicely to really create a healthy golden goddess look. This compliments the peach blusher so nicely to give you a healthy and glowy finish. Just like the blusher, it's beautifully pigmented and buildable. I honestly can't stop staring at my peach glow. This is the perfect palette for the Summer time and I know I'm going to be using and talking about this a lot. If you want that healthy peach glow this Summer, then this is the palette to get your hands on. Too Faced have blown my mind once again - they are yet to fail me! Have you got your hands on anything from the Too Faced Sweet Peach Collection yet beauties? Aww thank you:) It's so lovely and glowy! Your skin looks so glowy and beautiful, the highlighter looks gorgeous. Thank you so much! :) The highlight especially is very pretty. These colours suit you :) I have never used Too Faced products before but this is something I would definitely love and perfect from summer. Thank you! :) I'm becoming a massive Too Faced fan! I've tried a couple things from them now and have not been disappointed. This looks super pretty on you, I love it! !